Ben Stone founded Micronesica in 1964, when the (then) College of Guam had just become accredited as a 4-year, degree-granting institution. The tribute below was written by Dr. Lynn Raulerson on the occasion of Stone's death and published in Micronesica 27: 166-168. Benjamin C. Stone, the founder of Micronesica, died unexpectedly at his work bench at the herbarium of the Philippine National Museum on 19 March 1994, at the age of 60. His departure leaves a significant gap in the "thin green line" of Pacific botanists. Ben was born in Shanghai, China in 1933; his father was British and served in the civilian government, and his mother was American. Like Ray Fosberg, Ben graduated from Pomona College in Claremont, California; also like Ray, he attended the University of Hawaii and worked under Harold St. John. Ben received his Ph.D. in 1960 from Hawaii and became a biologist on the University of Guam faculty in 1961. During his short stay on Guam (1961-1965) he started the herbarium (GUAM), founded Micronesica, and collected materials that would form the database for the Flora of Guam, published in 1971 in Micronesica. From Guam, Ben moved to the University of Malaya in Kuala Lumpur, and was professor of botany there from 1965 until 1984. While there, he established and developed their herbarium (KLU) and the Botany Department's Botanic Garden (Rimba Ilmu). He traveled and collected extensively in the Asian tropics and Indo-Pacific Islands, and authored over 300 publications. 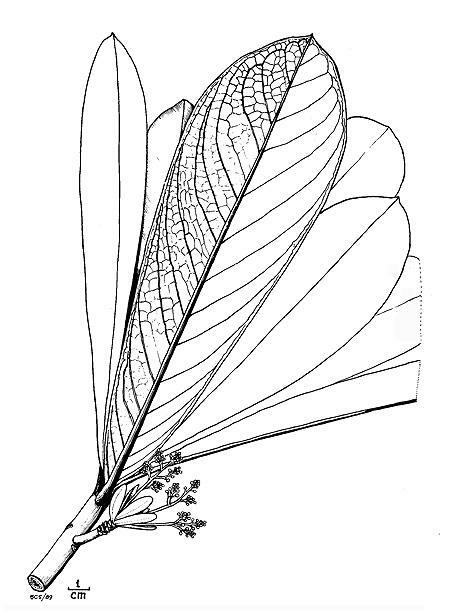 He was an accomplished botanical artist. He left Malaya to become chair of the Botany Department at the Philadelphia Academy of Natural Sciences, and moved from there to join the Flora of the Philippines Project, with its U.S. Center first at the Bishop Museum in Honolulu, and then at the Botanical Research Institute of Texas (BRIT) in Fort Worth. Ben was enthusiastic about botany, and had a personality which related well to others, so that he influenced many people positively about science, biology, and plant biology in particular. He had a great sense of humor; he was in the Bishop Museum Herbarium when someone had to step out from a row of cabinets as that row was being suddenly "compacted" by the opening of another row. "Ah, yes," said Ben, "an appropriate fate for botanists who press plants! I can see that day when a long-closed row is opened and out will fall a pressed botanist. ... So that's where George went!!" We benefited from his time with us, and deeply regret that it was so short.